Buying a home is easily the front-runner for the most important financial investment you will ever make. Each day, hundreds or even thousands of homes go up for sale, giving buyers a myriad of choices. While purchasing pre-built real estate may seem like the quickest, easiest and most cost effective route to purchasing a new home, it may not be your best option. Here are just a few perks of custom building your dream home. You get to choose the builder. Choosing the builder allows you to ensure that the vision for your custom built home is understood, expectations are met and at the end of the day you truly have your dream home – down to the very last detail. Researching builders allows you to choose one whose values, style and price range line up with yours. 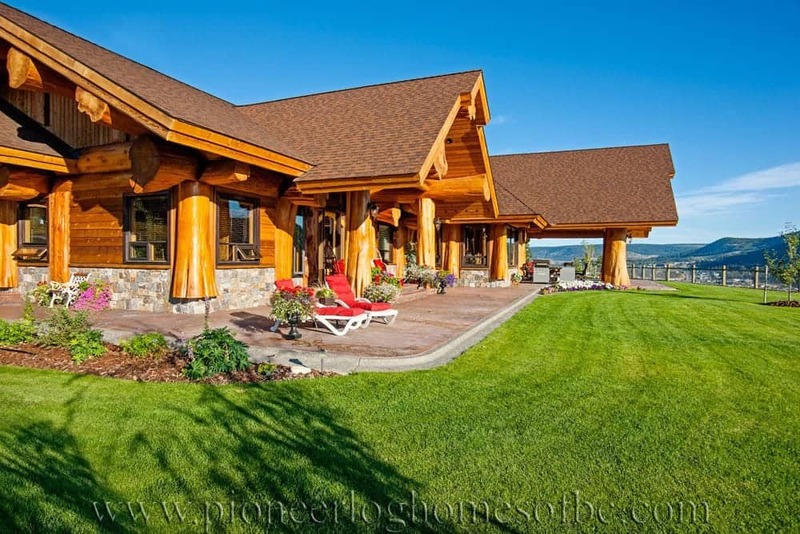 Here at Pioneer Log Homes our team of world class designers and log home builders will ensure that your dreams become a reality. Your can control your environmental impact. While mass produced homes are required to meet certain building codes, their appliances, windows, and doors may not be the best in terms of energy efficiency. Further, older homes may have an even greater negative impact on the environment depending on which upgrades they’ve had. A custom built home allows you to choose the most efficient and environmentally friendly appliances, windows, doors and other home amenities from the very beginning. What’s more, you’ll save in the long run as your bills will be lower and you won’t have to incur costs associated with upgrading. The company you choose will also have a direct impact on the environment based on their environmental policies. Read more about Pioneer’s commitment to sustainable building here. Did you know? A 16” Western Red Cedar log home walls not only has an R-value of 24 (compared to a framed home with an average wall R-value of 14), it’s thermal mass also helps radiate heat back into your home, rather than allowing it to pass through like a traditional framed wall. This helps save you money, and cut down on emissions. With Pioneer, the customisation is truly endless. Whether you’re building a single room lakeside cabin, or a 10,000 square foot permanent residence, we can create a 100% custom log home for you and yours! Use our log home floor plans, and log home photo galleries to get ideas for your custom home today! Costs are lower (in the long run). While the up front costs of a custom built home may be more, in the long run you’ll save in a number of ways. As mentioned above, the energy savings, especially with a custom log home, will be phenomenal. Further, you’ll save money on things such as upgrades or renovations as they won’t be necessary! If you’re in the market for a new home, consider a custom built Pioneer Log Home, the finest log homes on Earth!